We are still several days away from finding out results of the toxicology reports being done on Heath Ledger’s body, but the New York Post is still having trouble with the fact that, as yet, there is no one to blame. Last week, we were surprised at all of the heat they brought on Mary-Kate Olsen. They put her face on the cover and claimed she was to be questioned by police (they stand by the story, but cops are now saying they won’t be speaking with the actress). Olsen is involved, as even your golden retriever must know by now, because the masseuse who found Ledger’s body mysteriously called her before calling 911. Olsen sent in her bodyguards rather than calling the police. After we and other Websites like Gawker.com pointed out the contradiction between the paper’s story and what police were saying, we were e-mailed with a blusterous comment from Post editor Col Allan, which implied that the police were “afraid” of Olsen and that’s why they wouldn’t question her. Then, they followed up on Saturday with a photo-free cover, which asked “WHY” the police weren’t questioning Olsen. There was an interior editorial that day explaining that the tabloid was receiving “dark communications” from Olsen’s lawyers, threatening them. I know zip about Operation Mary-Kate Olsen. I only know how it plays in similar situations. Private security guards — the music biz calls them “the cleanup crew” — get dispatched PDQ. They show before anybody’s called. They dispose of illegal substances right under authorities’ noses and then “cooperate” with the fuzz. I mean, you didn’t figure all that by yourselves? You needed me to explain this? No, we didn’t need you to explain it to us, Cindy. But we’re betting Olsen’s lawyer might want to have it repeated a couple of times. 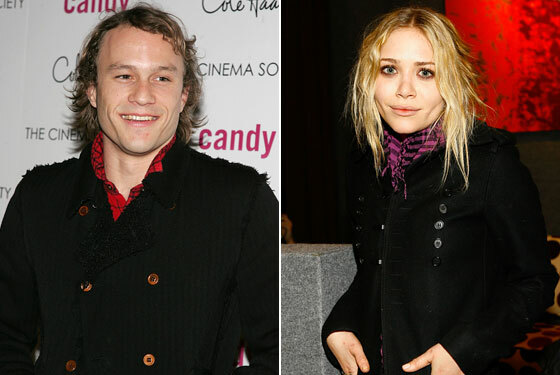 Whether or not Mary-Kate had some sinister role in Ledger’s death, we’ll let the police decide. It almost feels as if the Post hopes that she does. But one thing we really do appreciate about their coverage is this: They always refer to Mary-Kate as “the former Full House actress.” Not designer, not business mogul, not fashion icon. Which is one of the small, but hilarious, types of snub that really makes us love that damn paper.